Need a survey on your roof? 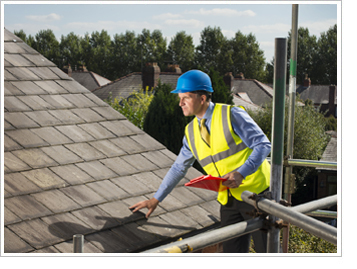 We re able to carry out a professional roof survey on your roof from just £200! With many years of experience in the roofing trade we are able to offer our customers full roof inspections, both the inside & outside. It is important that your roof is checked to make sure that it is safe and secure. Your homes roof is an important part of the building as it keeps out the rain. This is why it is vital that it is well maintained to avoid and future leaks and other issues from occurring. We offer free advice along with an honest survey on the condition of your homes roof. If you would like us to provide you with a hassle free roof survey then please give us a call today!